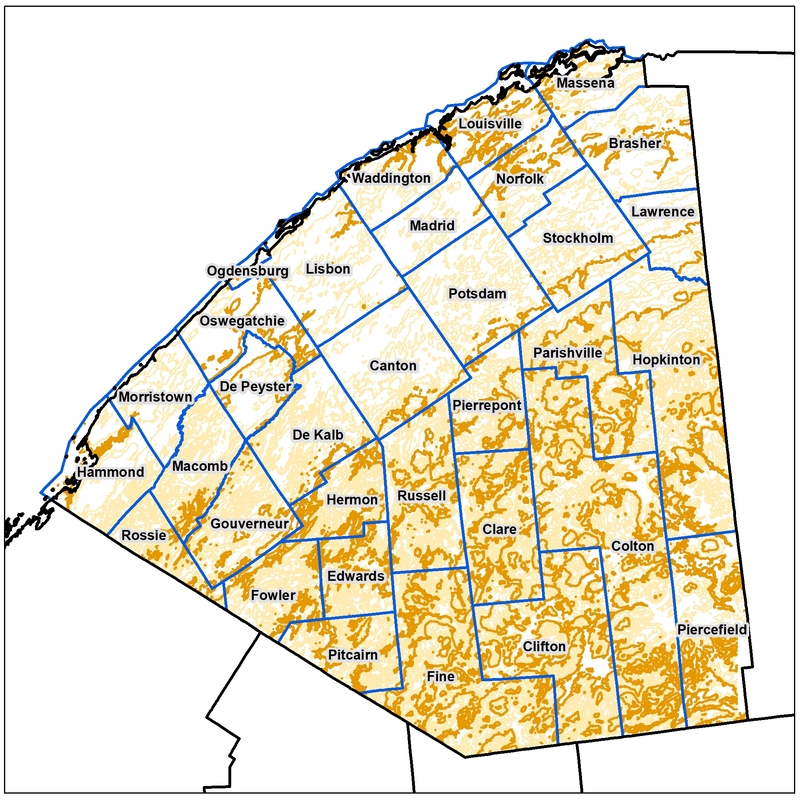 The St. Lawrence County contours were created using a combination of the FEMA - Great Lakes 2014 and FEMA - Franklin, St. Lawrence 2016/2017 LiDAR Collections. These contours were delivered as individual tiles, to make the contours more useable and distributable the GIS Program Office merged the tiles by town and clipped them to a 200ft buffer of the town. The contours were then imported into a file Geodatabase where they are stored by town and have several contour intervals the end-user can choose from including 1ft, 2ft, 10ft, 20ft, 50ft, 100ft, 250ft, and 500ft with a scale triggered layer file.